The oxide garnet Y3Al5O12 (YAG), when a few percent of the activator ions Ce3+ substitutes for Y3+, is a luminescent material widely used in phosphor-converted white lighting. 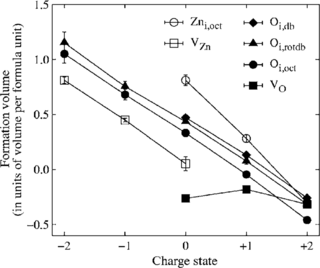 However, fundamental questions surrounding the defect chemistry and luminescent performance of this material remain, especially in regard to the nature and role of vibrational dynamics. Here, we provide a complete phonon assignment of YAG and establish the general spectral trends upon variation of the Ce3+ dopant concentration and temperature, which are shown to correlate with the macroscopic luminescence properties of Y3–xCexAl5O12. Increasing the Ce3+ concentration and/or temperature leads to a red-shift of the emitted light, as a result of increased crystal-field splitting due to a larger tetragonal distortion of the CeO8 moieties. 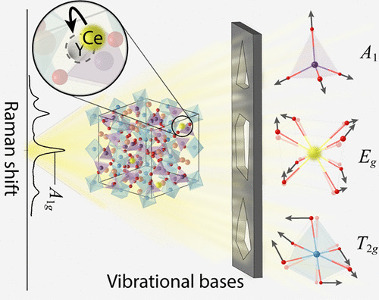 Decreasing the Ce3+ concentration or cosubstitution of smaller and/or lighter atoms on the Y sites creates the potential to suppress thermal quenching of luminescence because the frequencies of phonon modes important for nonradiative relaxation mechanisms are upward-shifted and hence less readily activated. 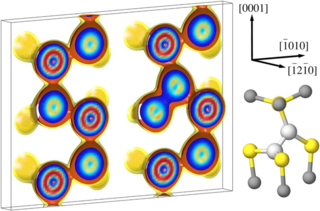 It follows that design principles for finding new Ce3+-doped oxide phosphors emitting at longer wavelengths require tetragonally distorted environments around the CeO8 moieties and a sufficiently rigid host structure and/or low activator-ion concentration to avoid thermal quenching of luminescence.